Tom Henderson (a.k.a. King Dork, Chi-mo, Hender-fag, and Sheepie) is a typical American high school loser until he discovers the book, The Catcher in the Rye, that will change the world as he knows it. When Tom discovers his deceased father’s copy of the Salinger classic, he finds himself in the middle of several interlocking conspiracies and at least half a dozen mysteries involving dead people, naked people, fake people, ESP, blood, a secret code, guitars, monks, witchcraft, the Bible, girls, the Crusades, a devil head, and rock and roll. And it all looks like it’s just the tip of a very odd iceberg of clues that may very well unravel the puzzle of his father’s death and–oddly–reveal the secret to attracting semihot girls. Being in a band could possibly be the secret to the girl thing–but good luck finding a drummer who can count to four. "This book is for you if you're in a band or wish you were, if you loved or hated Catcher in the Rye, if you like girls or are one, if you've ever spoken Francais or Franglais, or if your high school has or had a dumb mascot. 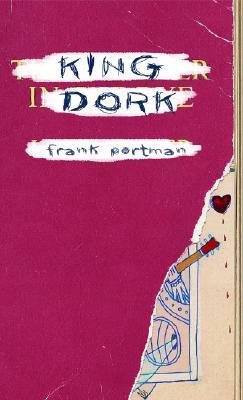 Basically, if you are a human being with even a vague grasp of the English language, King Dork will rock your world."